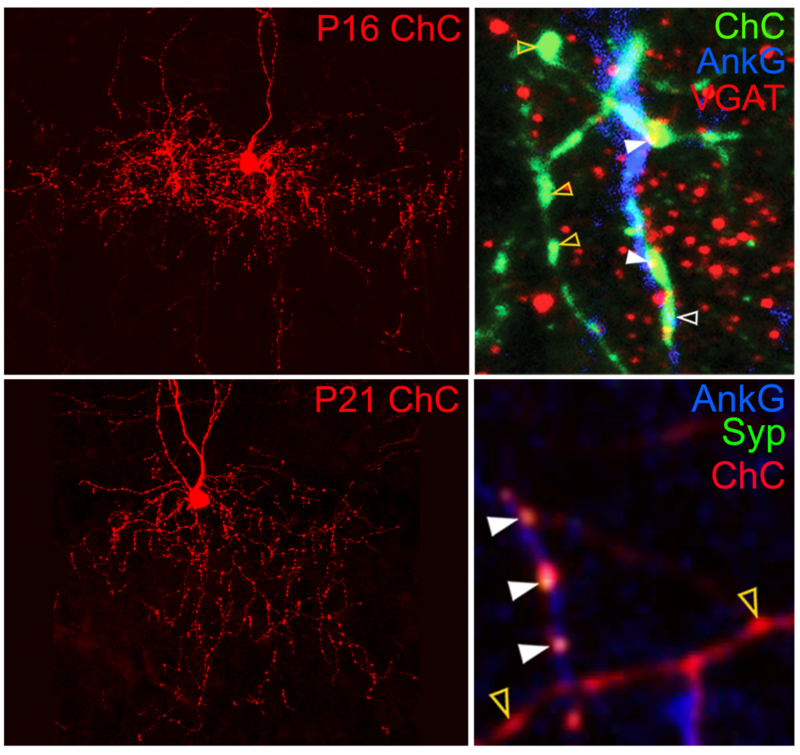 Genetic labeling of IN progenitors allows examination of developmental processes of axonal arbors and synaptic connections formed by murine chandelier cells (ChCs), which innervate axon initial segments (AISs) of PNs and thus powerfully regulate their spike generation. 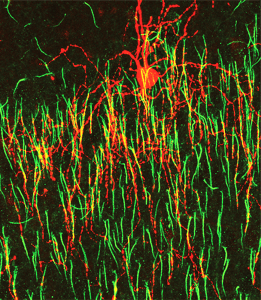 Quantitative analysis by light microscopy revealed that ChCs overgrow and subsequently refine axonal branches as well as varicosities. Although a significant number of axonal varicosities are formed off AISs in addition to on AISs, presynaptic markers are predominantly colocalized with those on AISs throughout development..